One of my favorite things to do while traveling (aside from exploring all the beauty a new place has to offer and food) is challenging my style. When it comes to traveling, comfort is key. But I’ll be honest, sometimes comfortable does not always mean stylish. So I gave myself the personal challenge to look stylish while staying completely comfortable. My secret to traveling in style is picking pieces that I can pretty much wear all day long and not complain about it. For instance, if I have no choice but to wear it 3 days in a row, I am 100% satisfied with it. I also recommend picking outfits that you have worn already. Nothing is worse than wearing a new outfit and realizing you feel insecure, it is uncomfortable, or it doesn’t fit right. You want to make sure that when you travel, your outfits make you feel good and will not get in the way of exploring. If you follow this, I promise you traveling in style is easy to do! Another key with traveling in style is what is on your feet. I don’t know how you travel, but when we do we always travel by foot. I honestly believe it is the best way to see a new place. When we were in Spain & Portugal a week ago, we averaged 20,000 steps a day. That is a lot of walking! One of my favorite brands that I find reliable for comfortable footwear is Vionic. Their shoes are like stepping on clouds. I also knew that I wanted to be wearing dresses or jumpsuits. And to be honest, I was not a fan of the thought of wearing sneakers the entire time during our trip. Fortunately, Vionic makes traveling in style so easy on your feet. They have comfort and chic nailed down. Of course, if sneakers are your thing, they have cute options too. But due to the wonderful weather in Spain & Portugal, I knew I wanted to wear sandals. I decided to go for the Ainsleigh Wedge Sandal because I knew one of the nights, Tre and I would want a much ‘fancier’ dinner. We usually go to more low key dinner places, but this trip was really special and I knew one of the nights we wanted to be slightly more dressed up. 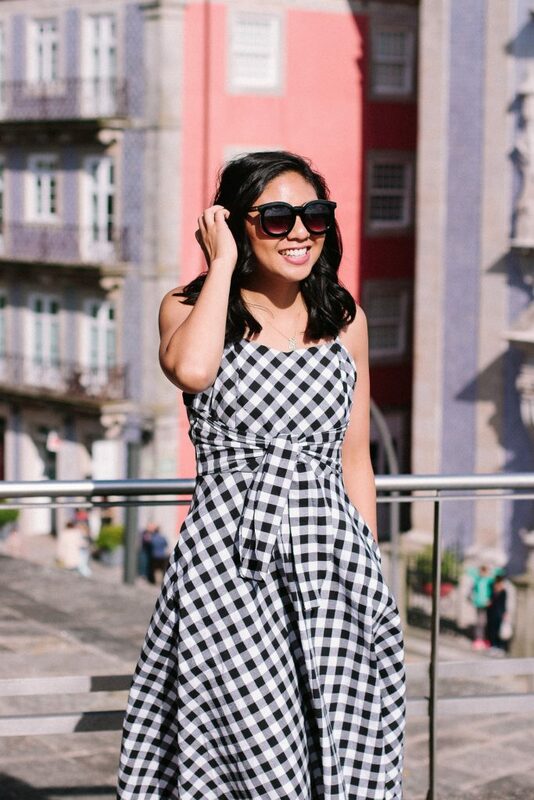 So on our last night in Porto, Portugal (and last night of our entire trip *insert sad face emoji*), I got fancied up and put on my checkered dress. This checkered dress is comfortable because it is not fitted at the waist. There is some extra room which was nice because we’d been eating a lot of delicious pastel de natas everyday with every single meal, cheese (I can’t say no to cheese haha), and all the rest of the amazing cuisine. 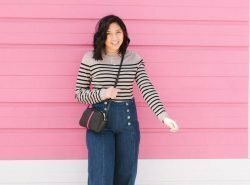 The fabric is also soft, breathable, and my favorite – has pockets!! If I had to walk in this dress for 3 days, I would be completely fine! Porto is very hilly and the sidewalks are cobblestones. So for sure comfortable shoes are a must and these Ainsleigh wedges held up pretty well. My feet had no complaints at all. Now that I’m thinking about it, I should have gotten the heels and been completely fine! So there ya go, that’s my secret to traveling in style. It’s so much fun to dress up and feel your best when traveling! Below are other top Vionic sandal contenders that I was considering. Your posts from this trip were amazing! I loved all your outfits. Great tips. I am a serial over packer. Every. Single. Time. Haha I am too! I get so nervous and think I need everything! You do always look so stylish! I feel like finding a comfortable but cute shoe is key. That is always my struggle. These shoes sound and look great. Thank you so much Amy Ann! So do you! The right shoes makes all the difference! THIS DRESS! Love it so much. Comfortable shoes are a MUST when traveling! I love chic these sandals are and it is such a cute outfit. love the gingham! super cute! Excellent tips! That gingham dress is so, so cute!! I absolutely love that dress on you. Great tips on traveling in style and comfort! Comfortable shoes are a MUST for me! These sandals look so comfy and chic!! Your dress is so cute too, and totally agree with wearing something you already know you feel and look good in! 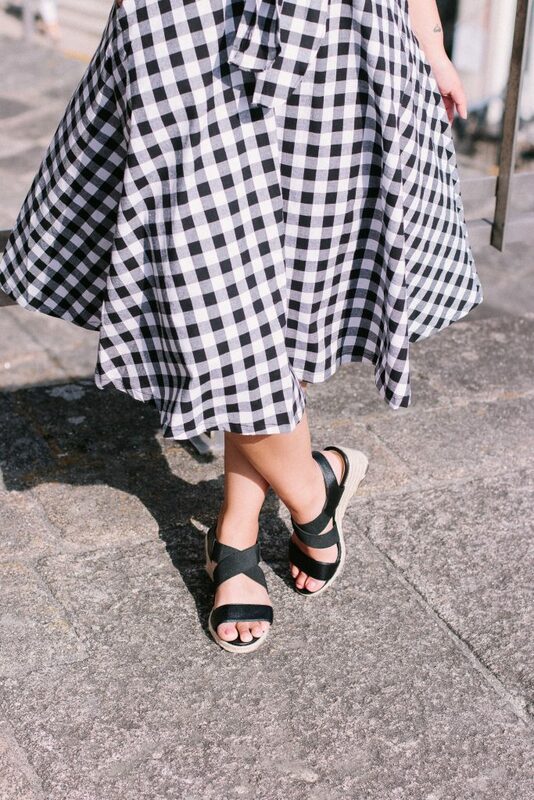 A superb gingham dress and perfect wedges for summer style! Great article and tips! I love your dress btw. Great tips! 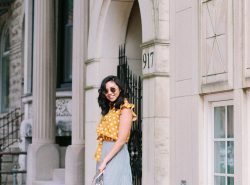 I have a few trips I’ll be taking this summer and I’ve been trying to think of Instagrammable/blog-worthy outfits to pack but sometimes a tried-and-true outfit is easier to deal with. I adore this gingham dress! Even better that it’s comfortable! Thank you Deborah! And that is so exciting! I can’t wait to see what you will share! Porto indeed is amazing, isn’t it? I’ve been to the city several times and each time I loved it! I think the sandals did a great job, with places like this – as you said hilly, for sure – you have to wear shoes with straps keeping it on your foot. I think these sandals were comfotable, and they still look quite chic! The dress is very classical, and I like it about it. It looks like the 50s, doesn’t it? One of my favourite periods in fashion. You look great. Hope you enjoyed your stay in Porto. Did you see the library in which Harry Potter was shot? Porto was amazing!! And Yes I did see the library! It was so cool to check out! Thank you Dorota! Lovely tips! It’s important to be comfortable at the same time too. Love that checkered dress, looks so flattering on you! Thank you so much Marina! Vionic is definitely a brand worth trying! you’re so right! We don’t have to compromise comfort to look stylish. Travelling in style is possible and you’re the best proof. You do look gorgeous in that checkered dress and the sandals seem very comfy. These are great tips. Couldn’t agree more with the pointers. Comfort is key for me. You look wonderful in that lovely dress. Great advice to keep in mind when traveling, I totally agree! These are really handy tips for traveling in style, girlfriend! Your style is always completely on point! 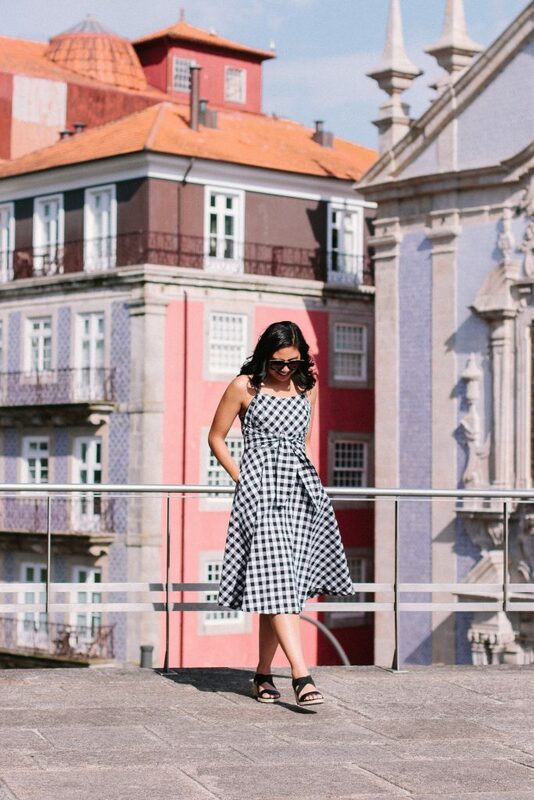 I love this gingham dress with all my heart! And those shoes are cute AND look so comfy. Best of both worlds! You look so cute! Love that gingham dress and those shoes look so comfy yet cute at the same time! This dress is amazing, I love it, it is definitely a must have. Vironic shoes look super comfy and classy at the same time! I never feel my best when I travel because I love wearing heels, but usually leave them at home when I know I’ll be walking for a long time. Those shoes look like an amazing option! This brand is definitely worth checking out for you! I think you would love it! Oooh! Un vestido precioso! 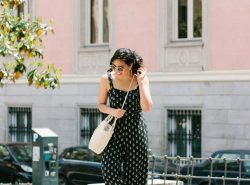 Me encanta el look es perfecto para esta temporada- Un besito guapa. That dress is gorgeous! I am ALL about that gingham! I love dressing up when traveling too! These shoes look sooo comfy! I definitely tend to wear looser clothing when traveling because I often move around a lot. Comfort is a must when traveling! Love a good stylish, comfy shoe! On vacation it’s so true — my fiancé has taught me how much better carry-on only which means not a lot of room in the bag! I thought you were going to say the secret to traveling in style is gingham, and I was nodding my head in agreement to that too! lol. Haha not going to deny about gingham! It looks good anywhere haha! This dress is perfection. I love how it has pockets. Much needed. I love that it has pockets too! It’s super adorable dear! Gingham is such a beautiful classic, and I absolutely love the style of this dress. Cute and sassy! So perfect on you! I couldn’t agree more about gingham! Thanks Jessica!